This is an Archives room. To view a St. Eloi painting that is available, click here. 1988 $2200 Framed in simple wooden frame. 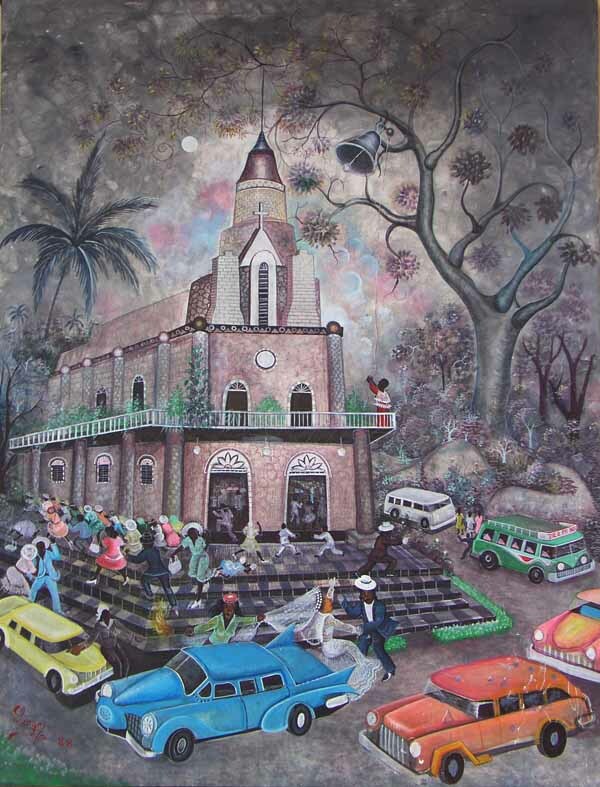 * The Interrupted wedding or "Mariage Gate" is a frequent theme in haitian art. Usually it's a pregnant girlfriend of the groom who is trailing two of his toddlers that disrupts the ceremonie. Count on St. Eloi to give it a different twist. In this painting, the guy in the brown suit with the white hat is brandishing a gun, sending people running.